Looking for an innovative job? 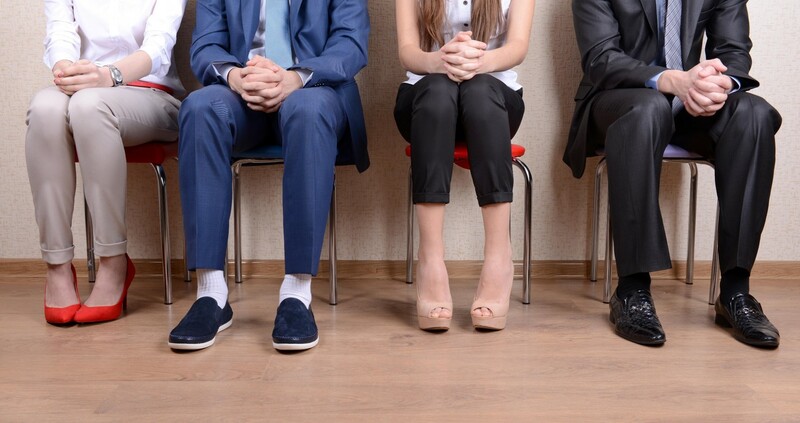 26 OurCrowd portfolio companies that are hiring now! As OurCrowd’s investments continuously grow both in size and quantity, our existing portfolio companies are rapidly expanding too. To date, OurCrowd has invested $120M in 68 portfolio companies, many of which won international awards and are widely acclaimed for their innovative products and amazing all-star teams. Just in 2014, over 260 jobs were created within OurCrowd’s portfolio companies, post-investment. So, if you’re hoping to get your foot in the high-tech industry door, dreaming about being part of the exciting startup ecosystem, or know someone looking for a job in the hottest markets, you’ve come to the right place! HIL Applied Medical is looking for an experienced, hands-on, multidisciplinary technology leader, responsible for all of the company’s Research and Development activities. He/she will work closely with the CEO and the CTO to develop and implement R&D programs and budgets. S/he will work with a high level of autonomy, developing and managing all internal and external R&D resources, projects, and personnel. For more information and to apply, contact info@hilappliedmedical.com. Director of R&D; Jerusalem, Israel. If you are talented, want to improve transportation, and have an entrepreneurial mindset – SoBi wants to hear from you! Financial Controller; New York City, NY, USA. XspresSpa is looking for energetic and enthusiastic candidates to help bring wellness to the airport! The company has several career opportunities available in various airports and locations around the USA. Director of Information Technology; New York, USA. PulmOne is looking for key talents to join a bonded professional energized team. Manufacturing Engineer & Design Transfer Lead; Israel. Director of Sales & Marketing; Israel/Asia Pacific. Bat Blue is looking for energetic, goal oriented, creative, and resourceful individuals to join its team. Cloud Security Pre-Sales Engineer; New York, USA. Start-up Demand Generation Professional; New York, USA. Cloud Security and Network Principal Engineer; New York, USA. Crosswise are looking for talented programmers and scientists to join their team. If you enjoy solving huge problems, join the Crosswise team. For more information, please send Crosswise your CV to careers@crosswise.com. Data Scientist; Tel Aviv, Israel. Big Data Engineer; Tel Aviv, Israel. DevOps Engineer; Tel Aviv, Israel. Join the Nativeflow team to take a pivotal role in protecting the dynamic smartphone/tablet industry. If you are talented, innovative, and want to improve camera phone photography — Corephotonics wants to hear from you! Algorithms Engineer; Tel Aviv, Israel. Field Application Engineer (FAE); San Francisco Bay Area or San Diego Area, CA, USA. Software Engineer; Tel Aviv, Israel. Embedded Software Developer; Tel Aviv, Israel. Senior GPU Developer; Tel Aviv, Israel. Want to work at a dynamic fast growing company with a strong supportive culture? Check out the currently open positions at Highcon. Sales Executive – DACH region; Germany. North America Sales Representative; based in Chicago/Midwest, USA. Even if there is not a current position but you have the relevant experience in the above disciplines then Highcon would like to hear from you here. Revolutionizing the Location of Things (LoT) — Pixie is a passionate team of entrepreneurial developers, designers, marketers, and business builders, and thrive in a dynamic and fast-paced, high-energy environment. For open positions contact us at careers@getpixie.com. BriefCam, developer and provider of award-winning Video Synopsis solutions for rapid video review, is expanding and seeking the best and brightest to join their team. Based in Silicon Valley, PowWow Mobile is building a team of collaborative individuals with a broad range of talents and is always looking for smart people. If you’re interested in joining our team, send your resume and what you’re interested in to careers@powwowmobile.com. If you’re interested in working at a dynamic young company with a multi-disciplinary team, Consumer Physics is the place for you! Senior Front End Developer; Israel. Collaborate with BT9 in building powerful technologies that help solve the world’s most challenging food wastage and food safety problems. Join the team! Independent Sales Agents and/or Sales and Tech Support Distributors; UK, France, Central Europe, South Africa, Australia, and Thailand. BillGuard is disrupting the banking industry with its people-powered antivirus for bills. Check out their open positions! Part-time Support Representative; Tel Aviv, Israel. Product Marketer / Community Manager; Tel Aviv, Israel. If you are passionate about big data and changing the future of marketing, chances are you belong with Mentad. Senior Sales Director; New York, USA. Head of Marketing; New York, USA. Demand Generation; New York, USA. Account Manager; Tel Aviv, Israel or New York/Palo Alto, USA. Full Stack Developer; Palo Alto, USA or Tel Aviv, Israel (relocation options available). DevOps/System Architect; Palo Alto, USA. Product Manager; Palo Alto, USA. Bizzabo is looking to hire superheros — check out their open positions! Automation Leader; Tel Aviv, Israel. Technical Support; Tel Aviv, Israel. Sales Account Executive; New York City, NY, USA. Sales & Marketing Intern; New York City, NY, USA. Head of Sales; New York City, NY, USA. Zula is always looking for rockstars, so if there are no job openings listed but you would love to work with them, send your CV to: jobs@zulaapp.com. Top-Notch Android Developer; Phoenix, AZ, USA. Talented Web Application Developer; Phoenix, AZ, USA. Experienced Server Developer; Phoenix, AZ, USA. StackIQ is currently looking for qualified candidates in almost every area of their company, so if you don’t see a position that fits your background here, feel free to inquire about other openings by sending a resume to jobs@StackIQ.com. Game-changing solution for advanced cyber threats – check out these career opportunities at BioCatch! Neverware is looking for enthusiastic, dedicated people who share our passion for bringing the best technology to the people who need it most – school children. Join their team! Chromium OS Engineer; New York, NY, USA. Education Support Specialist; New York, NY, USA. Project Manager in Software Development; New York, NY, USA. QA Engineer; New York, NY, USA. Senior Software Engineer; New York, NY, USA. Surgical Theater has several career opportunities available — To apply, submit resume to information@surgicaltheater.net. Regional Sales Directors Hiring for New York, NY and Los Angeles, CA. Applango is looking for talented and highly motivated individuals to join its team. Apply now! Want to join the freight revolution? Check out the available positions at FreightOS below. Shopial is passionate about increasing sales for online merchants around the globe. If you want to be a part of a strong team acting in the rapidly growing e-commerce market, then take a look at Shopial. Viewbix is looking for a passionate professional who’s excited about joining a fast growing startup and will thrive in a startup culture. What truly sets OurCrowd apart from other platforms is that we are focused not just on ‘crowdfunding’ but on ‘crowdbuilding’ our portfolio companies. Funding is just the first level of engagement with the crowd. OurCrowd assigns experienced mentors to work with each of our companies, often taking board seats, and we play an active role in helping our companies grow. The crowd is getting bigger and bigger – and backing more startups than ever. We’re so proud of what the OurCrowd community has accomplished so far and are looking forward to continuing on this journey together in the years to come. To join the OurCrowd community and stay up to date with all of our current activities, sign up at www.ourcrowd.com. 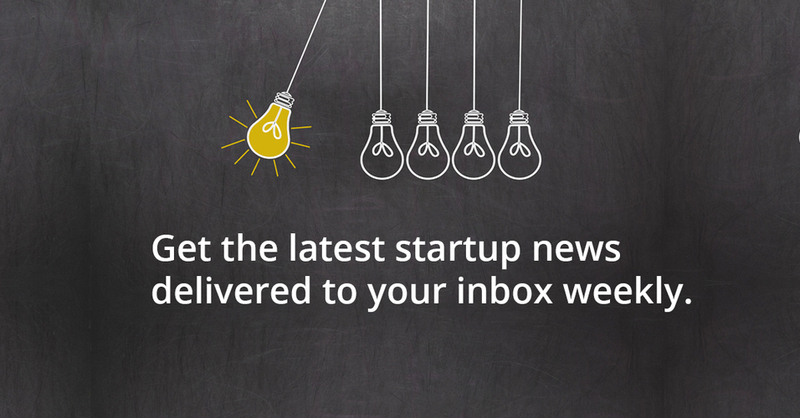 Subscribe for weekly updates about the Startup Nation to your inbox.